The chances are not many of you have heard about the Gigabyte GA-H110-D3A motherboard that is intended for 6x GPU mining rigs and the reason for that is probably the fact that Gigabyte hasn’t been promoting this product much as a mining motherboard. 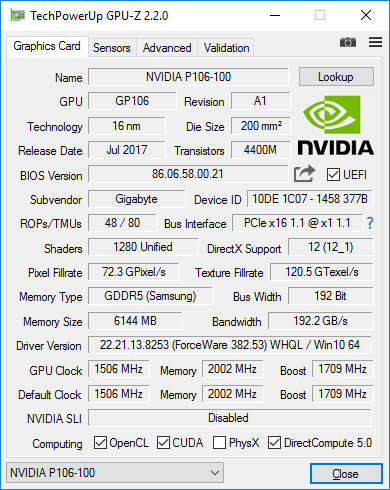 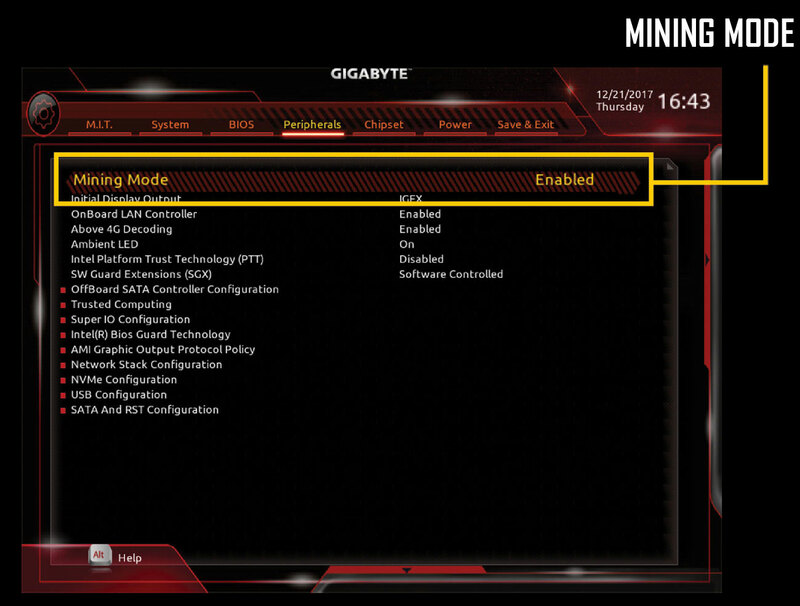 Gigabyte is a bit late on the GPU mining front with a motherboard designed for mining rigs with the GA-H110-D3A, even though the motherboard comes with up to date specs. 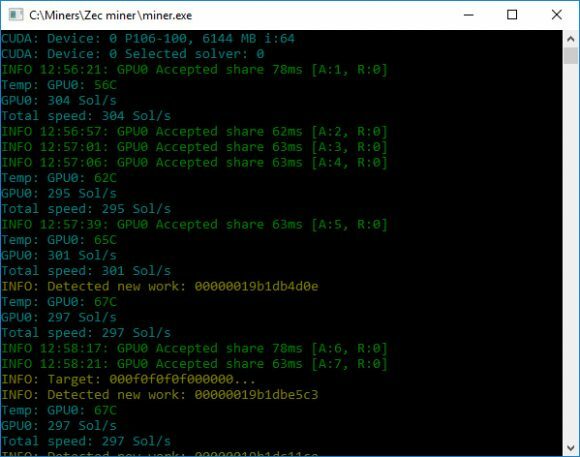 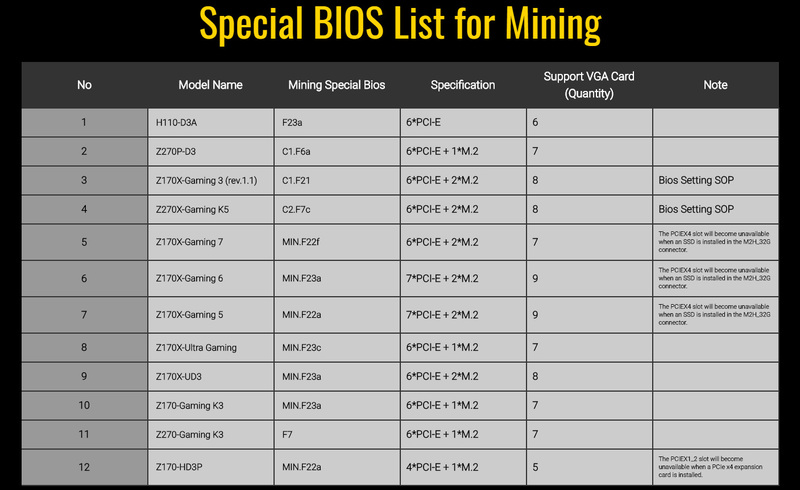 That however does not mean that the company hasn’t been offering other higher-end products that are good to go for use for crypto mining, there are quite a few of these already and we have been using some of the models ourselves. The GA-H110-D3A however is still new for us and we are going to be giving it a try and sharing our experience with the motherboard pretty soon anyway. 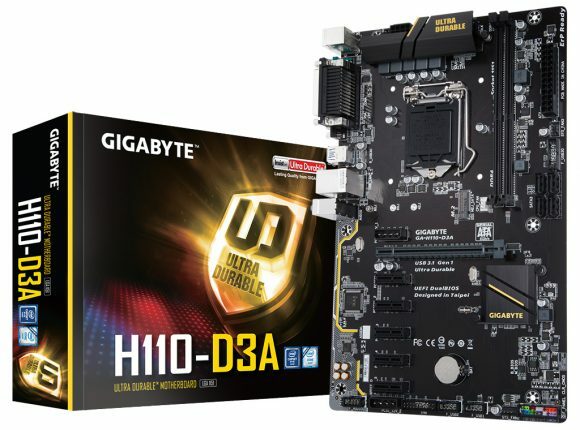 The key thing about the Gigabyte GA-H110-D3A is that it comes at an attractive price and has all the features you need in order to build a regular GPU mining rig with 6x video cards. It is a basic motherboard with 6x PCI-E slots (single x16 and five x1 slots) that needs to be durable and reliable and be cost effective, so no shiny extras that you won’t be needing anyway for mining. 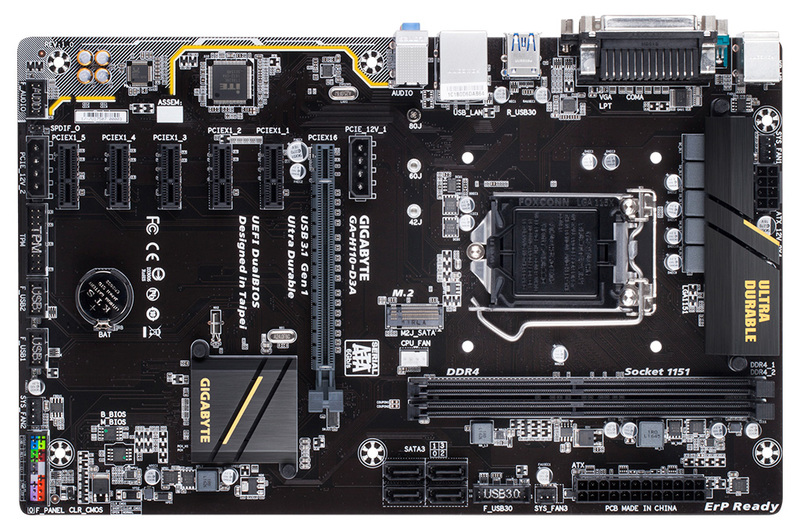 The motherboard comes with a M.2 slot allowing you to use SSD in that format and save some extra space and cabling, especially power cables as they may be a problem in some situations. 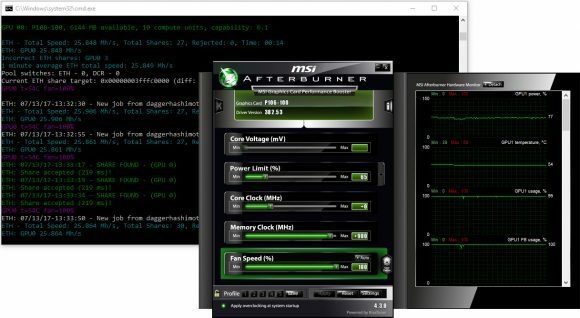 There are also a couple of things to make the product more attractive marketing wise, though you probably won’t benefit much from them such as USB 3.1 Gen1 support, high quality onboard audio design or a Realtek Gigabit LAN with cFosSpeed internet accelerator software. 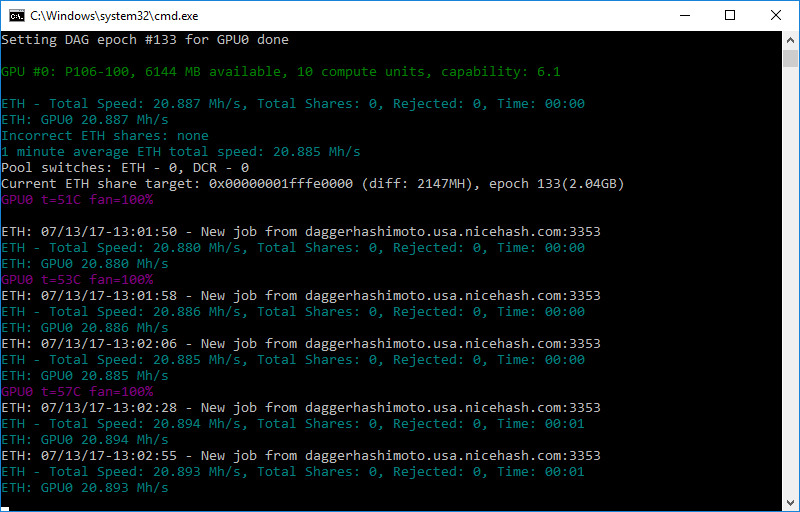 Some of the extra features might be actually helpful however such as Humidity Protection Glass Fabric PCB, High ESD Ethernet & USB Port Protection or High Temperature Protection Lower RDS(on) MOSFETs Design as often mining rigs are not working in the best possible conditions. 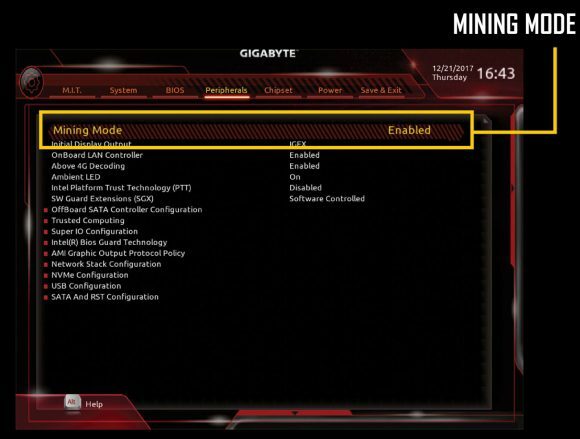 Gigabyte has an interesting microsite for mining that is centered on the H110-D3A motherboard, but also has some more useful information for other of the company’s products that can be used for mining. The most interesting part is probably the table listing 12 different Gigabyte motherboards with information on what BIOS version to use for mining and how many GPUs can be used on the specific model. 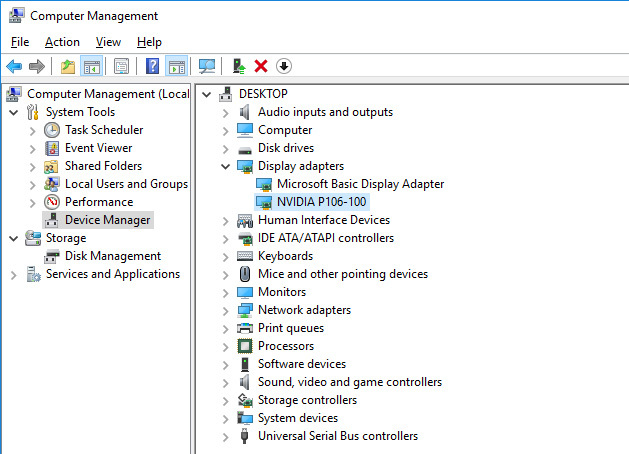 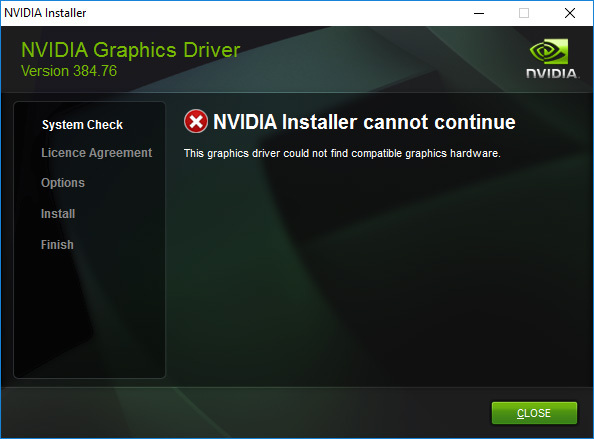 Do note that there are some motherboards that do require the use of additional M.2 to PCI-E adapter in order to reach the listed number of GPUs. 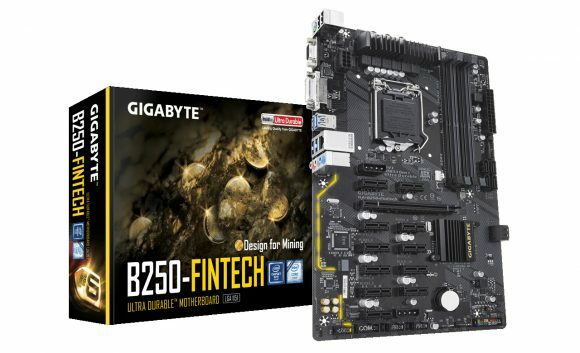 For example the Z170-Gaming K3 is one of the board that we have used a lot for 6x GPU mining that did not have support for more than six video cards up until BIOS F22, but now Gigabyte seems to be saying that it will work with F23a using an additional M.2 to PCI-E adapter (something we need to test). 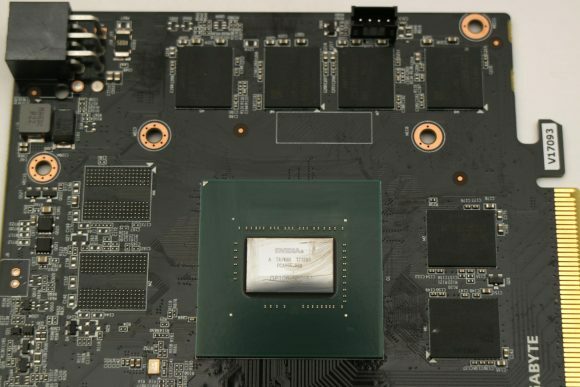 There are even some motherboards for up to 9x GPUs with dual M.2 adapters like the Z170X-Gaming 5 and Z170X-Gaming 6, though you might actually have a problem using all 9 under Windows for example.